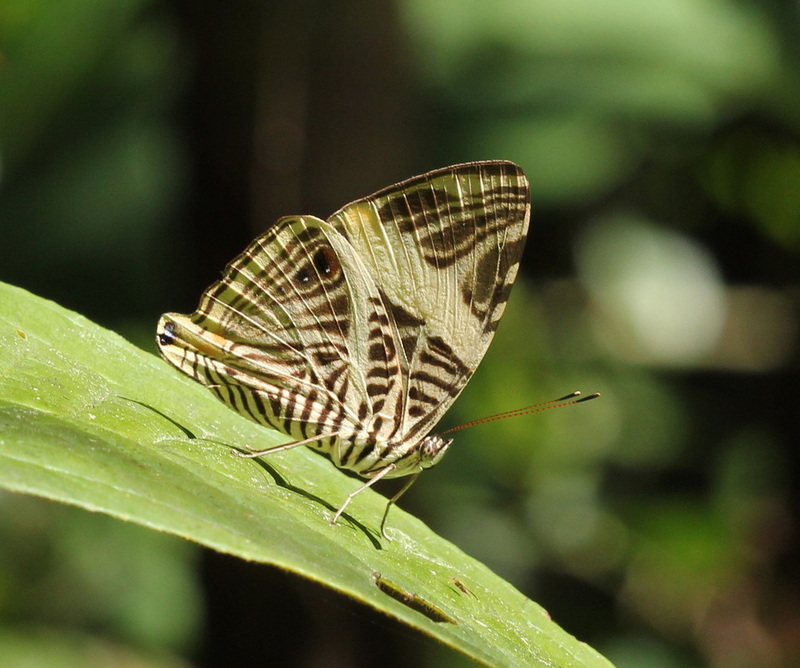 Description and Similar Species: Wingspan 70-80mm. Sexes similar. 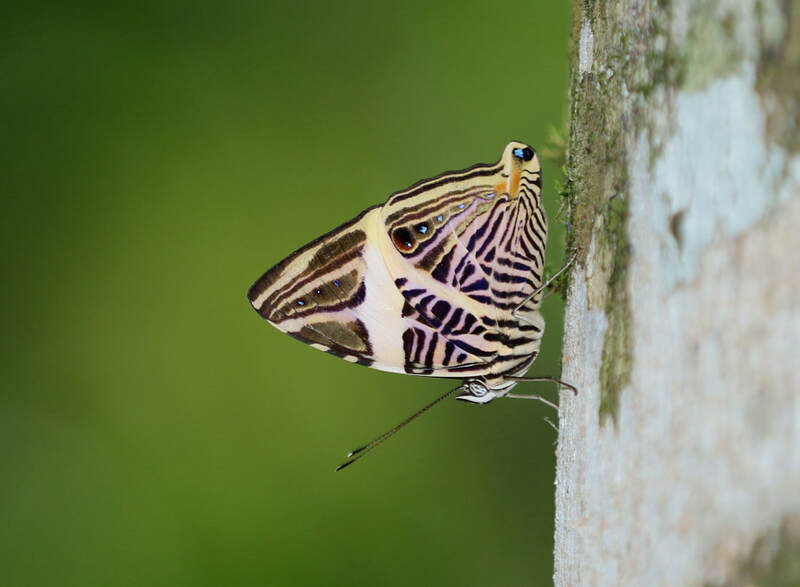 The underside is unmistakable but the upperwings are very dark with a broad creamy-white transverse band across the forewing only. 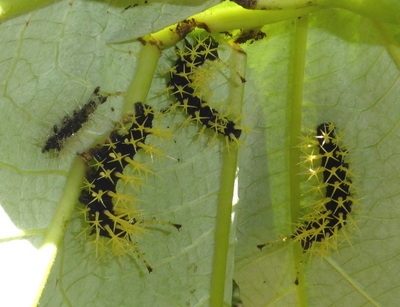 Note that Iphicleola Sister Adelpha iphicleola and Cuban Peacock Anartia chrysopelea both have white on the hindwing also. 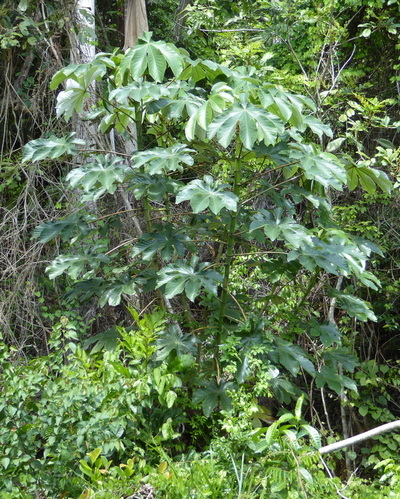 Range: Mexico to Argentina and Cuba, Jamaica, Hispaniola and Puerto Rico. 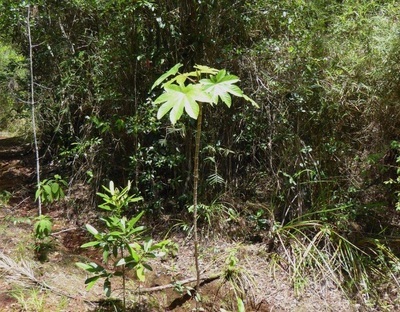 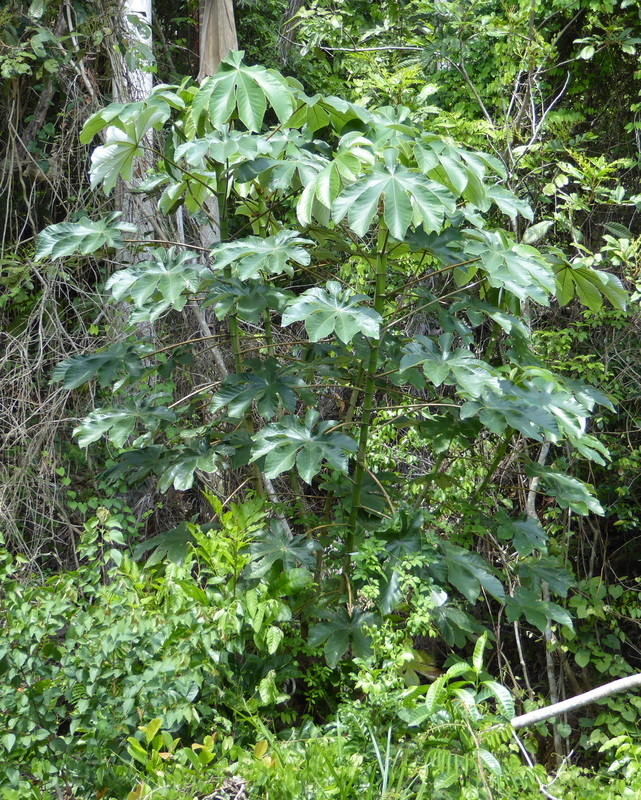 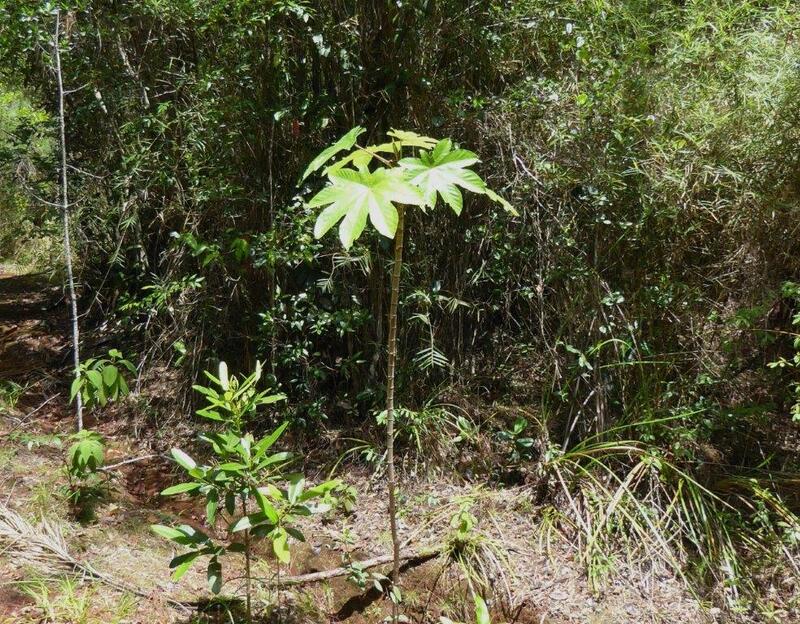 Status: In Cuba it is widespread and is said to be common in woods but perhaps only at certain times of the year as we have only seen it once. 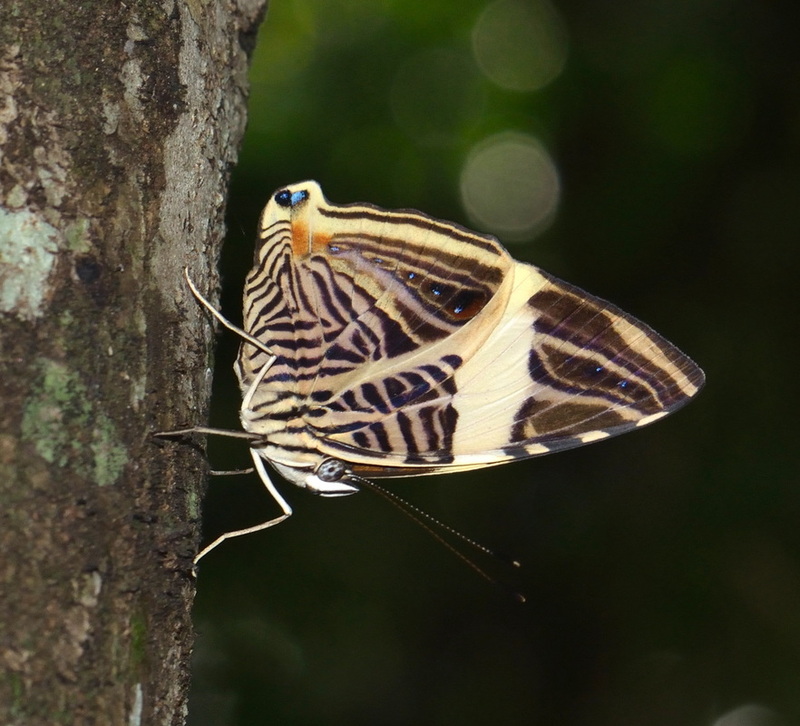 It rests often on tree trunks, head down, opening and closing the wings. 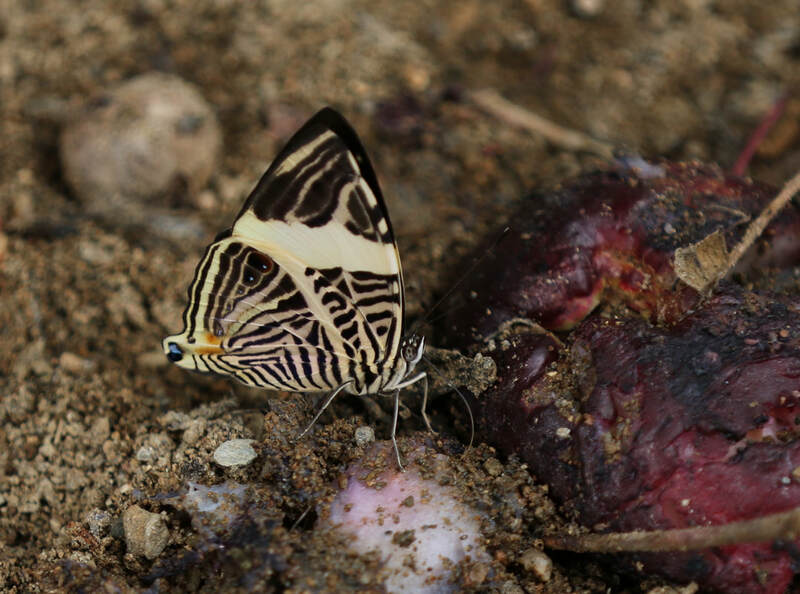 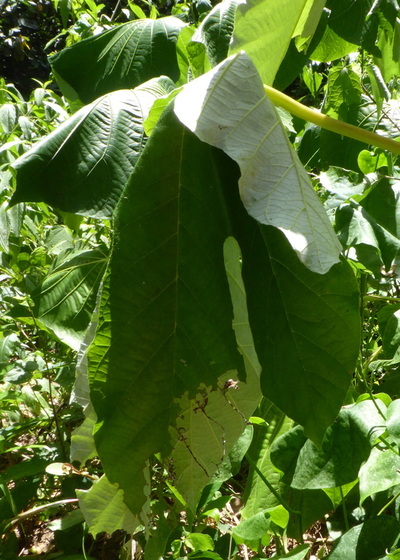 Nectar Plants: Feeds on rotten fruit and rarely if ever on flowers. 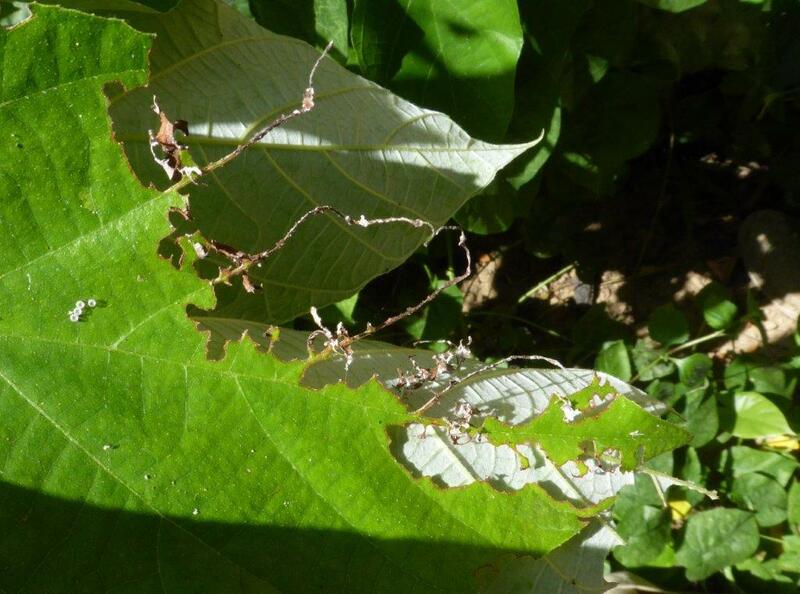 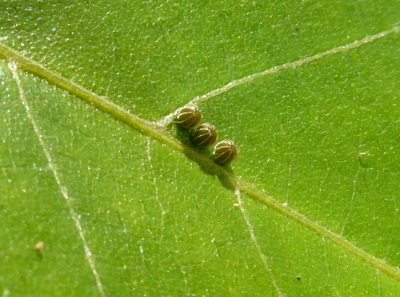 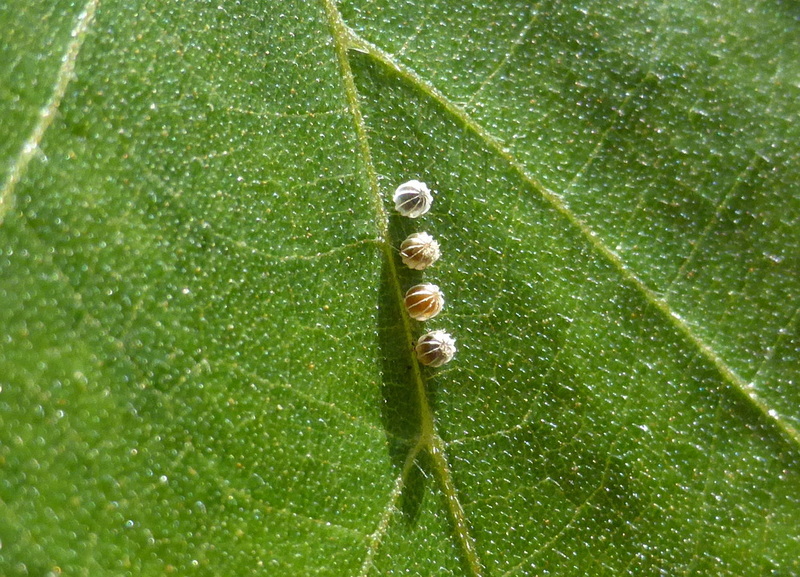 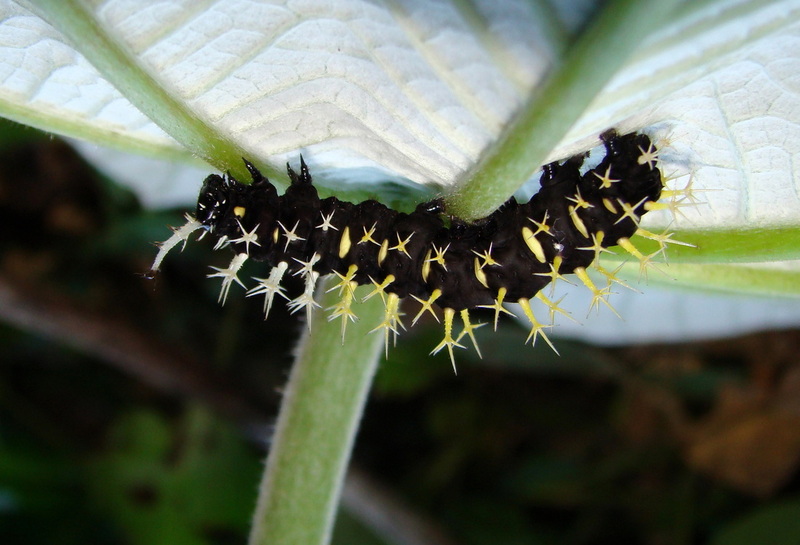 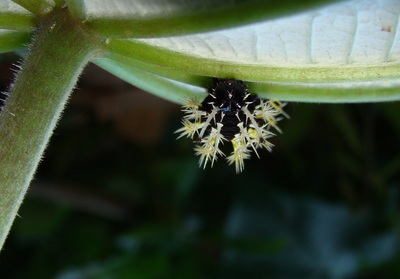 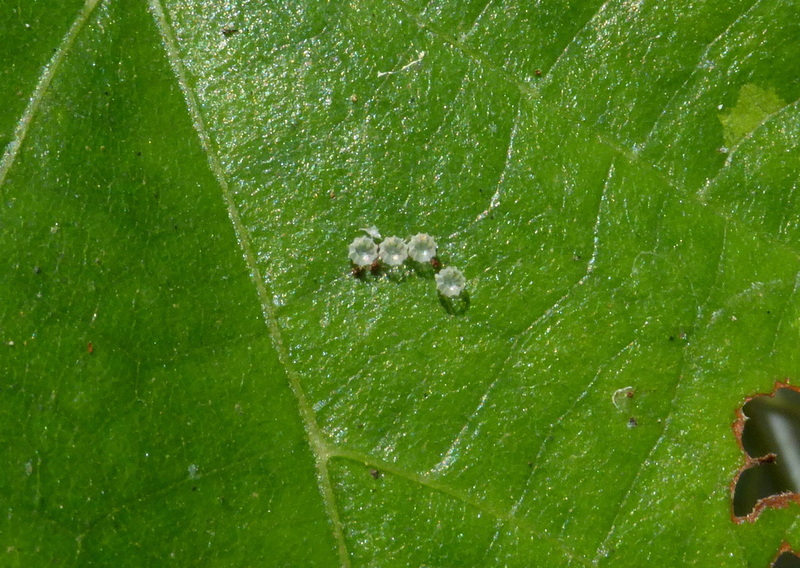 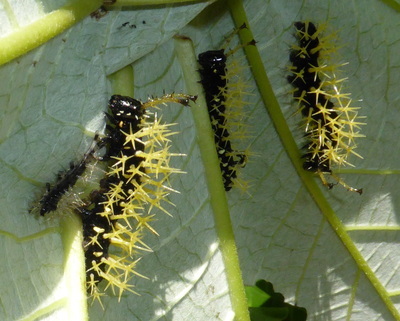 Larval Foodplants: The eggs are laid in clusters on the upperside of leaves of Cecropia peltata (Urticaceae). 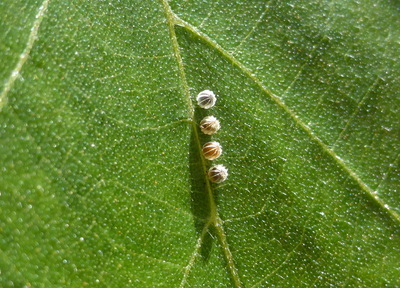 The larvae feed at first on leaf sections between the veins leaving the veins uneaten and on which they rest openly. 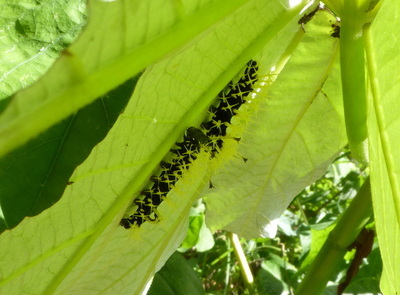 Later they chew through the bases of the main ribs of a leaf causing the leaflets to hang down forming a shelter under which the larvae live gregariously.